Packed full with recreational activities, Sivalai Place offers spacious air-conditioned rooms with free Wi-Fi and flat-screen TVs. An hour's drive from Suvarnabhumi Airport, it has tennis courts and an outdoor pool. Local attractions such as Grand Palace and Democracy Monument are within a 15-minute drive from the hotel. For guests who drive, parking is provided for free. 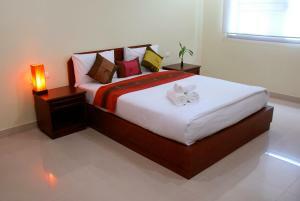 Decorated with colourful Thai fabrics, rooms at Sivalai Place are equipped with a minibar and fridge. 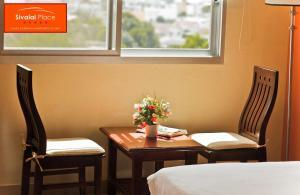 Selected rooms come with well-equipped kitchenettes and living rooms with sofas. Guests may enjoy an afternoon singing karaoke or playing a game of billiards at the games room. The hotel also provides a fitness centre and laundry services. Please be informed that free WiFi access is available for 1 device at a time. Please inform Sivalai Place in advance of your expected arrival time. You can use the Special Requests box when booking, or contact the property directly with the contact details provided in your confirmation. This property will not accommodate hen, stag or similar parties. Rate: THB 1312.50 ... THB 4300.00; select dates below to get current rates. 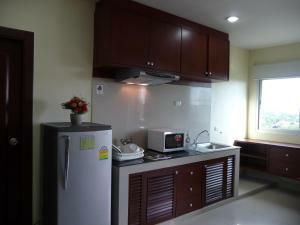 Room features a dining area and kitchen with microwave. Spacious two-bedroom suite with living room, dining area and kitchen. This family room features a electric kettle, stovetop and microwave.